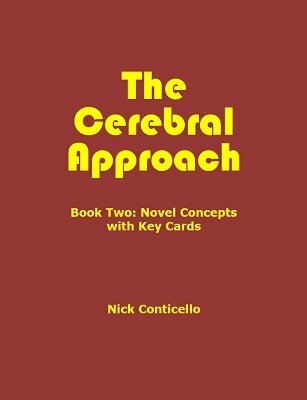 Novel Concepts with Key Cards. No sleight-of-hand is needed for any of these effects. Ideal for both magicians and mentalists. Imagine taking a borrowed, shuffled, incomplete deck, mixing it a bit yourself, and offering it to a volunteer for a cut. The volunteer then cuts each half separately, chooses a card from one half, and buries it in the pack himself. Yet despite these difficult conditions, you are able to locate the selected card with absolute certainty. That is the premise of this ebook. The Straddle Key concept is a breakthrough in key card theory. I have tested this material for magicians and have found these tricks to play very well. Even colleagues who are familiar with my predilection for multiple key cards have told me they can't fathom how these effects are possible. But I don't believe this is only session material. I have presented similar material for laymen and have entertained them and fooled them as well. "Express Stop" is a strong opener for a mental card routine, and "CAAN CAAN" is a powerful closer for any card act.